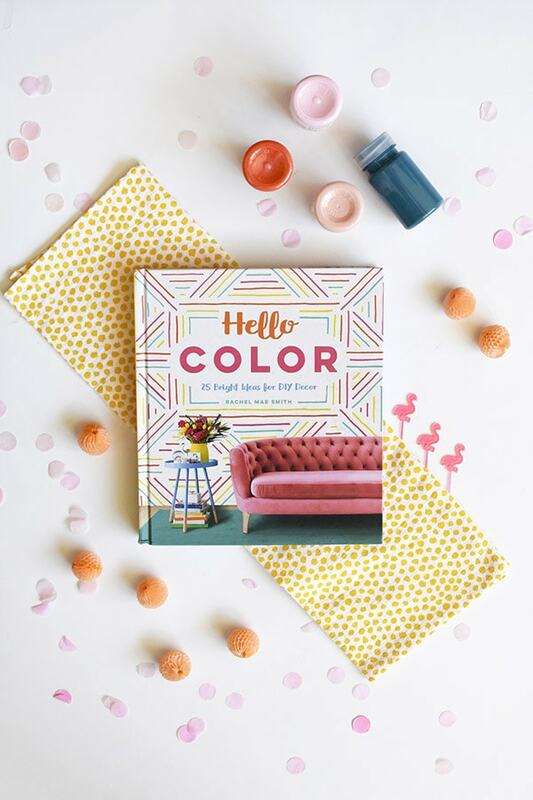 My creative friend, Rachel, from The Crafted Life has crafted, written, photographed and now has published the most colorful craft book, Hello Color! Yay girl, yay. Because I also am nearing the end of writing my little mini book, my appreciation for all the long hours, numerous edits and endless photography feels even greater than before. 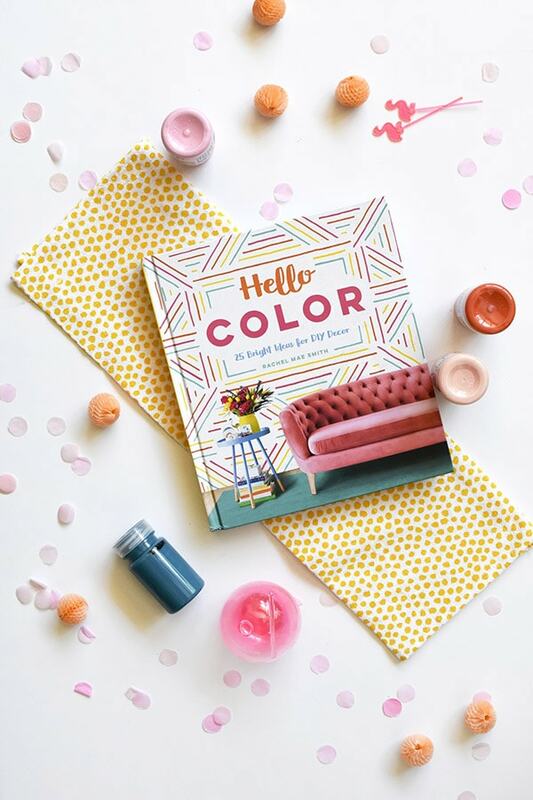 I am so proud of her lovely book, Hello Color and I had to share this beautiful book with you all. Rachel starts off the book with a section on color theory, which I found so helpful. 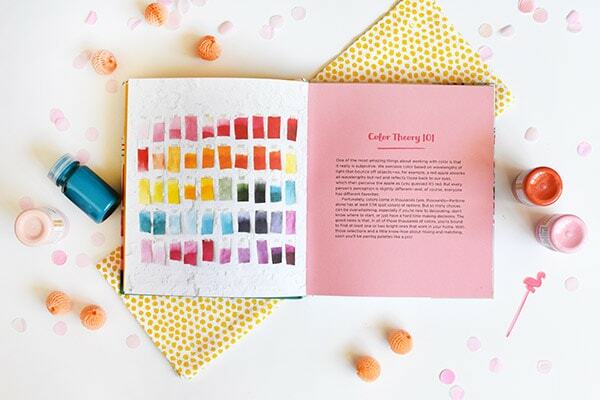 From color terminology to how to bring a color scheme together this section of her book is full of so many tips to get you started. She then goes on to break down each chapter by room; living room, dining room, kitchen and bedroom. 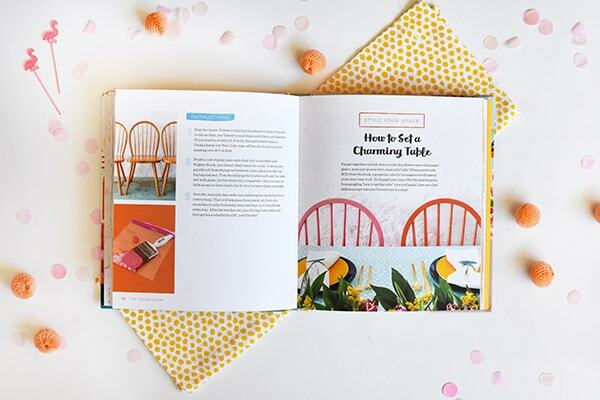 From there each chapter is full of 25 simple to do and bursting with color craft and DIY projects! I liked this section on how to set a charming table. Rachel talks about the main items you need for your tablescape and then how to lay it all out. 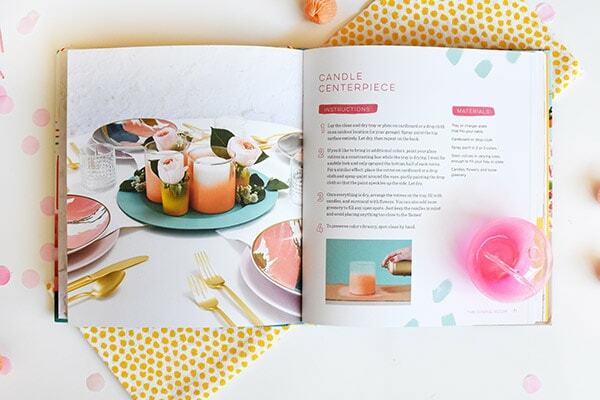 I love setting pretty tables, so I’m always looking for new and fun ways to do it. She also shared one of my favorite DIYS, an ombre painting technique I learned from her blog years ago. AH, I just looked – it was 4 years ago and I even gave her credit in my Gold + Green Gold + Green Accent Bottle post. 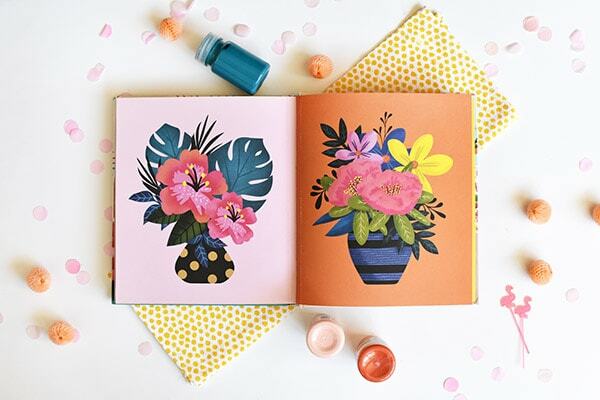 And it is so fun because the last handful of pages in Hello Color are perforated prints that you can remove and frame in your home! 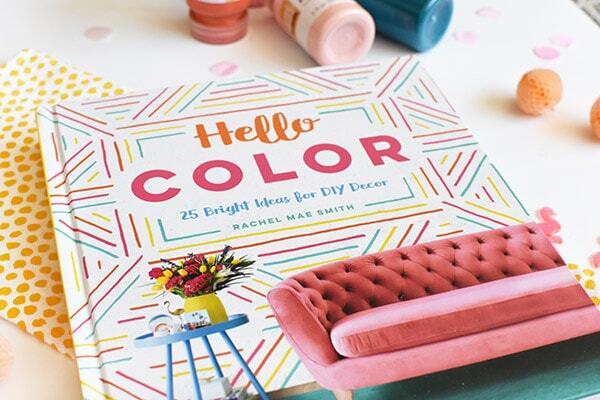 Be sure to snap a copy of Rachel’s book, Hello Color on Amazon or any of your local bookstores! Bravo friend.